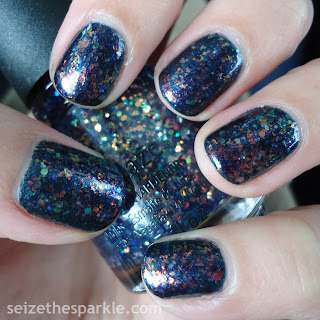 If you haven't already noticed, I'm a big believer in layering my glitter with sparkles and topping all of that with flakies. Because more is more, right? Well, at least as far as I'm concerned, it is! 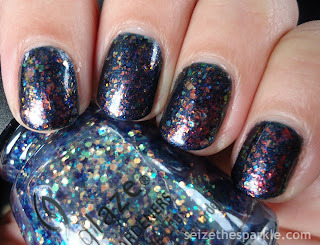 Don't Get Elfed Up is a gorgeous glass-fleck polish from China Glaze's Cheers! Holiday Collection. It's a dark teal that flashes blue with a glint of purple at extreme angles. I wish the purple flash was more visible in person, but sadly, it's stronger in the bottle. The formula on this was great. Three easy coats and done, great application! Moonlight the Night is one of two glitters in the China Glaze House of Colour Collection for Spring 2016. 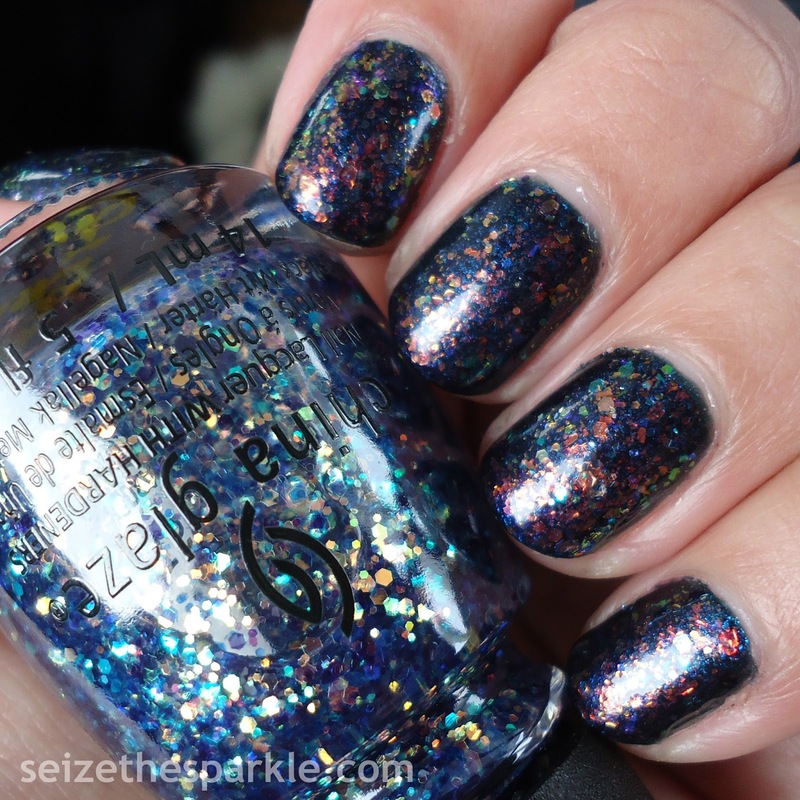 It's an opalescent glitter in teal with translucent glitter in coralish pink and purple. There's a good range of glitter colors in here, and I really love the bright flash of the coral. To finish off that layering, I used one coat of The Uptown by Color Club. It's a purple jelly with flakies that flash through the rainbow. The red and green flashes are the most brilliant, making this a really fun shade to wear. One coat of clear followed by a coat of Seche Vite, and this mani was good to go. And I'm definitely wearing it for another day!